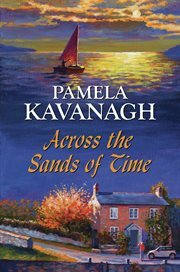 The item Across the sands of time, Pamela Kavanagh, (ebook) represents a specific, individual, material embodiment of a distinct intellectual or artistic creation found in Charlotte Mecklenburg Library. Newly engaged to Geoff, schoolteacher Thea Partington couldn't be happier. She has her career, her adored show ponies and enjoys a close-knit family life at their farm on the Wirral. But all is about to change when Irish vet Dominic joins the local practice and Thea is attracted to him. A ramshackle property on Partington land stands empty-an ideal home for the engaged pair. Renovations begin and Thea is thrust into a series of waking dreams of the history of the house, revealing uncanny parallels, stormy relationships, and fearful consequences. Dominic is a man with a past. He loves Thea but believes he is fated. But are the fates on their side?